UK label MR BONGO presents new BRAZIL 45’s #60 & #61. ‘Zózoio – Como É Que É’ also known as ‘Zozoi’ is an uptempo samba-jazz-MPB workout with a catchy chorus hook, guitars, subtle driving percussion and big horns. The song was written by Joyce’s husband Nelson Angelo. 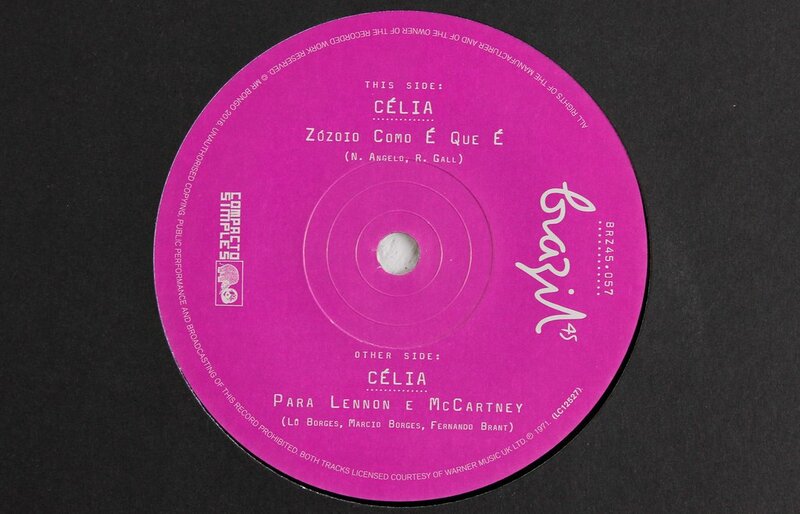 The track appears on Celia’s first self-titled LP that was released on Continental in 1971 and remains hard to find. We are also big fans of France Gall’s more well-known version, which was reissued by Jazzman several years ago. Featuring slightly different lyrics, in French, by her husband Robert Gall. ‘A Paraiba Não É Chicago’ is a smasher from the very first beat! 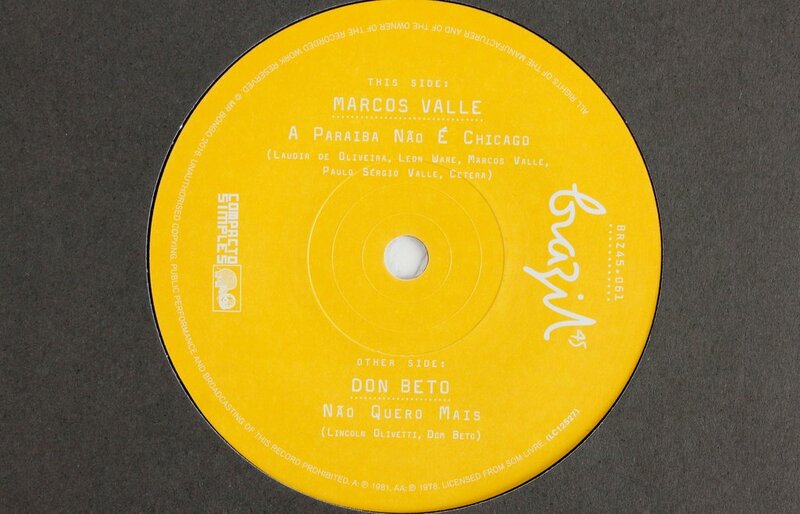 Golden era Brazilian boogie by Marcos Valle from 1981, with a brilliantly hooky chorus section. Originally released on his ‘Vontade De Rever Voce’ LP. ‘Não Quero Mais’ is VERY reminiscent of The Doobie Brothers ‘Long Train Running’, delivered in a Brazilian style – vintage disco-boogie vibes but with a more soulful chorus section. Originally appeared on Don Beto’s ‘Nossa Imaginação’ LP from 1978.